Here are a few upcoming dates and reminders to keep in mind. The TMS sweatshirt store will be up again starting April 1st! Toano students can order uniform polo’s and pants this spring on our online store again. A variety of sweatshirts will be offered including the new design. All items can be ordered online at ­­­­­agpestores.com/atlanticandschmidemb/groups.php by using a debit card or credit card. A direct link to this site is available on the TMS webpage. The online store will be open starting April 1st, 2019 until April 16th, 2019. All purchases will be delivered to TMS the second week of May. April 10th and 11th: Tiger Walk Extravaganza during Physical Education classes. April 11th: Final Event – Color Splash Fundraiser Finale for qualifying students at end of school day. April 12th: Report Card will be sent home. Calling all 8th Grade Families: It is time to begin planning for the 8th Grade Semi-Formal Dance. Please come out and help with this process. We will be meeting Wednesday, April 10, 2019 at 6:30 PM in the TMS Cafeteria. 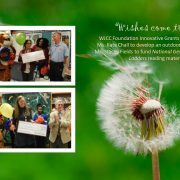 To help make this event a success and memorable for our students, your help will be needed. Looking forward seeing you there. 8th Grade Semi-Formal Dance will be held Friday, May 31, 2019, from 6:30-9:00PM. More details will be forthcoming. The 8th Grade Stepping Up Ceremony will be held June 12, 2019 at Warhill High School. Ceremony will begin at 6:30 PM. Students are to be at Warhill by 6:00 PM. 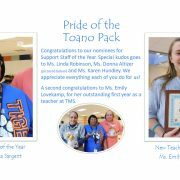 In an effort to recognize more students who make positive decisions on a daily basis, the Toano Middle School Community has implemented a peer recognition program. On a monthly basis, students have the opportunity to nominate a peer who consistently demonstrates our core values. 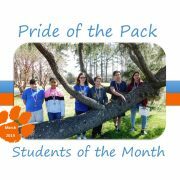 Students who are selected are recognized on the Tiger News and receive a PRIDE t-shirt. Thank you for your continued support in our effort to teach students our core P.R.I.D.E. values of being Prepared, showing Respect, having Integrity, being Determined, and Empowering others. 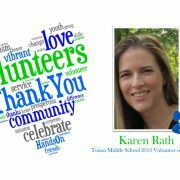 Please visit our school webpage (https://wjccschools.org/tms/) for additional information about the things happening here at Toano Middle School.